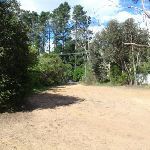 From Olympian Parade (next to Leuralla Public Gardens Amphitheatre), this walk follows the ‘Olympian Rock’ sign along the wide trail (Olympian Pl), alongside the white fence (to the left). 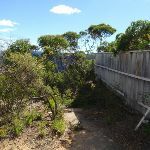 Soon the walk starts heading down a long set of concrete stairs to the intersection with the Prince Henry Cliff Walk at Olympian Rock (and a ‘Blue Moutains National Park’ sign). 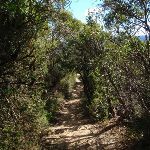 This whole walk, 150m follows a smooth and hardened path. 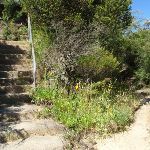 This whole walk, 150m is clearly signposted. 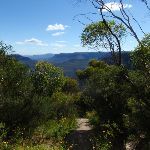 This whole walk, 150m requires no previous bushwalking experience. 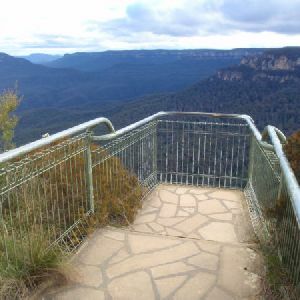 This whole walk, 150m is close to useful facilities (such as fenced cliffs and seats). 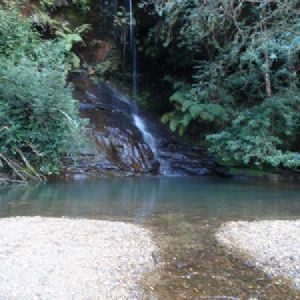 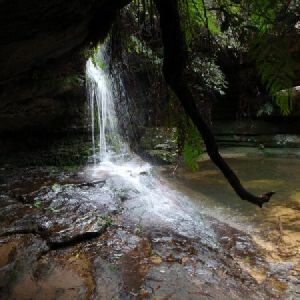 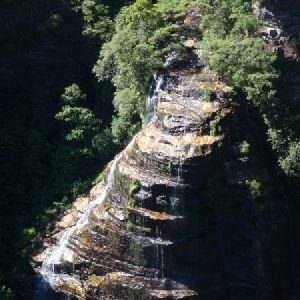 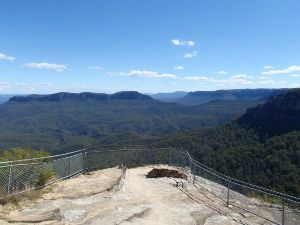 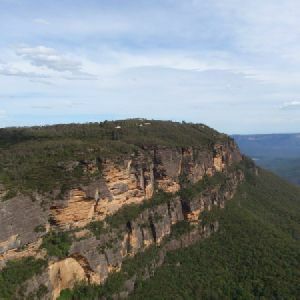 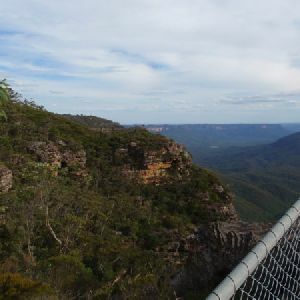 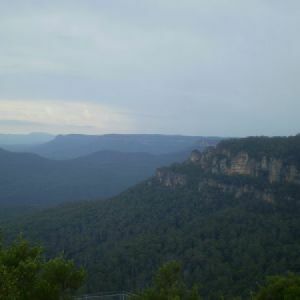 A list of walks that share part of the track with the Olympian Lookout walk. 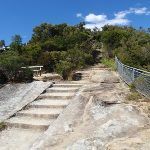 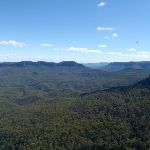 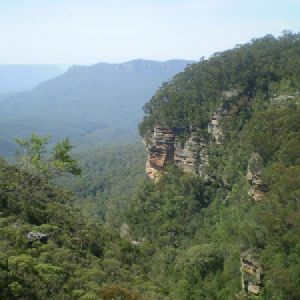 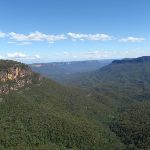 A list of walks that start near the Olympian Lookout walk. 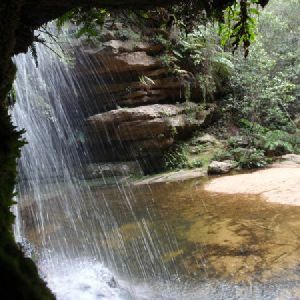 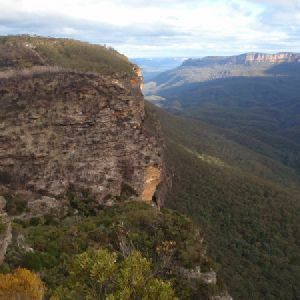 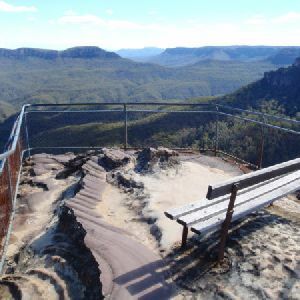 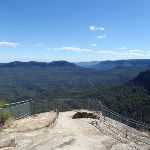 http://new.wildwalks.com/wildwalks_custom/includes/walk_fire_danger.php?walkid=nsw-bmnp-ol Each park may have its own fire ban, this rating is only valid for today and is based on information from the RFS Please check the RFS Website for more information.